Renault is going to introduce new EZ-GO car concept in Geneva Motor Show. It is a robot taxi accommodates six people and it is basically a driverless UberPool vehicle. Instead of jumping on a fixed-route bus or a less affordable taxi, you can send your ride request to Renault and the company’s EZ-GO car will integrate you into its existing route in the most effective way relative to its other passengers. The EZ-GO car is a completely automated taxi, which can be summoned using an app. The car has a top speed of about 50km/hr but, for city driving, it’s unlikely to need more. It also features large doors to accommodate wheelchairs, strollers, or luggage easily. Let’s watch the video and then make our opinion! [The use of this autonomous vehicle for public transport takes it to the forefront of a new urban way of life. A facilitator for everyday life, EZ-GO Concept offers a genuinely connected and customised experience to its passengers. With frontal doors, limited speed and autonomous driving, EZ-GO Car puts the safety of passengers at the forefront. The AD lighting signature, messages from the illuminated scrolling displays and the vehicle’s exterior sounds ensure the safety of pedestrians], mentions Renault official website. 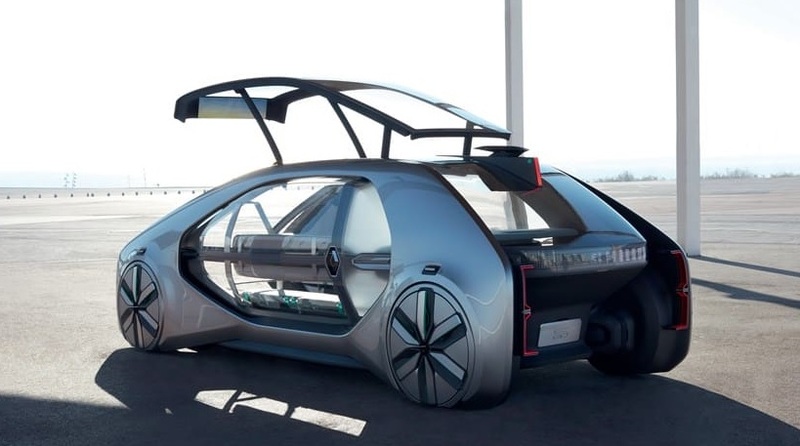 This concept car has technological innovations to serve its passengers. 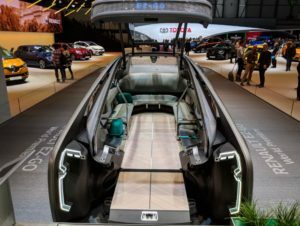 As a connected vehicle, it suggests interaction with its functionalities including augmented reality on your smartphone and Wi-Fi on board. So, concept will become your individual assistant by connecting with the smart city and providing you with information on tourism and leisure as well as activities in the surrounding areas. “Start using the EZ-GO Concept and create your own world using the various atmospheres and customisation tools for the interior and exterior. The front doors of EZ-GO Concept allow six passengers to enter while standing. Access is also facilitated for persons with reduced mobility or pushchairs who benefit from a dedicated access ramp attached to rear of the EZ-GO Concept Vehicle. Whether for private or business use, EZ-GO Concept adapts to your needs and meets the challenges of cities of the future,” indicates Renault official website. Next Next post: When Is The Next Lunar Eclipse, What is Blue, Blood Moon?